I love readathons (what's better than an entire weekend of nothing but books, books, and people who like books talking about books, books, and people who like books? 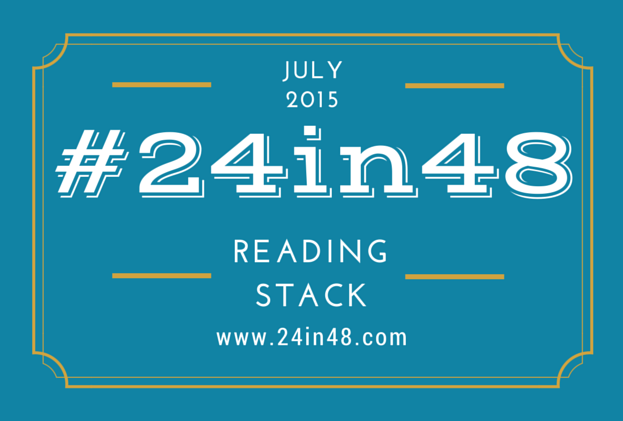 ), and the #24in48 is one of my favorites. It's a bit more flexible than the Dewey readathon (the goal: 24 hours of reading in a 48-hour timeframe), and I'm always thrilled when the dates work in my schedule. Who else is participating in #24in48 this weekend? What's on your stack? Summer Sisters and finishing off TBB are also my my stack as well! Along with Armada and To Kill a Mockingbird! Here's to hoping I can fly through at least a few of these! Sadly I don't think I'll be able to get that much reading done this weekend :( I cannot wait to hear what you think of "A Man Called Ove". Fredrik Backman is hilarious. I've been following his blog for years, but I haven't read any of his books translated to English. I hope his personality comes through. The Beautiful Bureaucrat is such a great readathon book - it's super short AND quick...I had a hard time putting it down. That is the only one in the stack that isn't an assignment, and you and Andi mentioning how quick and perfect it is is exactly what had me adding to the weekend's plans! I'm excited to try it. Have heard so many good things, but never read this or his new one (forgetting the name at the moment...). That's a great stack! I want to reread TKAM before GSAW. Yes! Do it! So fun. And laid back. Okay, so I'm jealous of those that have a copy of The Beautiful Bureaucrat - it's on my wishlist. 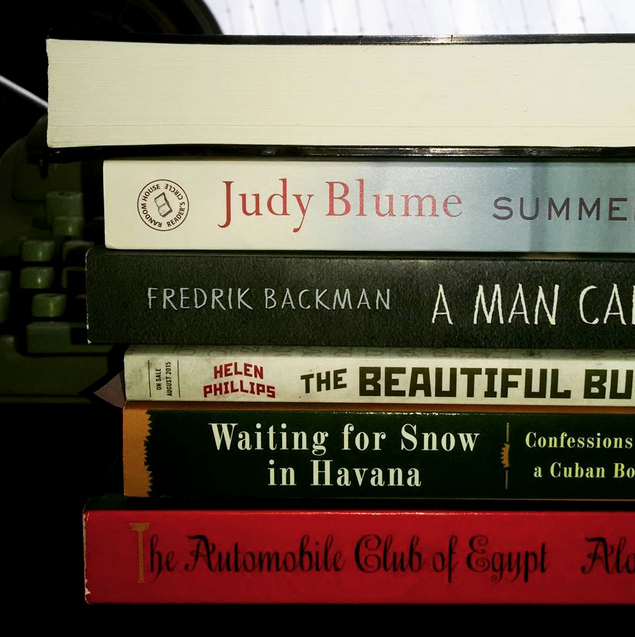 I have audio, classic children's book The Prince plus some classics and crime thrillers on my 'reading buffet' for my first ever readathon. Enjoy! I think the newest is called "Britt-Marie Was Here" but I'm not sure if it has been released in English yet. The other ones are "Things My Son Needs To Know About the World" and "My Grandmother Asked Me to Tell You She's Sorry". I've only read Sarah MacLean, and I really enjoyed the two books I've read so far. I don't think romance is really my thing (too formulaic), but I'm curious to dive a little deeper into the genre. Thanks for rounding up these recommendations! Thank YOU so much for all of your recommendations!! Yeah, it's disappointing that the covers are so consistently the same, despite subject/genre to most extents (that I saw, at least). If you read any of these, I'd love to hear what you think! Oooh, 1920s Kenya sounds INTERESTING. Yeah, I hear you on the formulaic. The Guhrke I read, while fun, was the same in some respects--it reminded me a bit of the first Maclean book I read, actually. Not a bad thing necessarily, but I wanted to be a little more surprised.